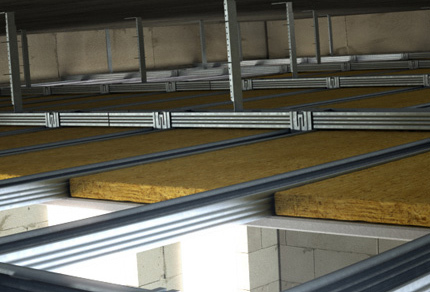 Room acoustics solutions from Rigips. The term "room acoustics" describes the propagation of sound in a room and is one of its key quality features. Rigitone Activ’Air: Good room acoustics, healthy room climate, great design. Good room acoustics and healthy air are critically important for people‘s wellbeing. 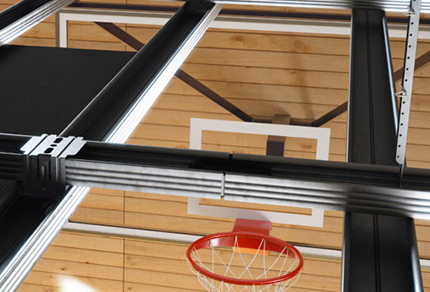 Rigitone sports hall ceilings – capable of taking everything thrown at them. When planning modern sports facilities, both functional and aesthetic requirements must be taken into account. 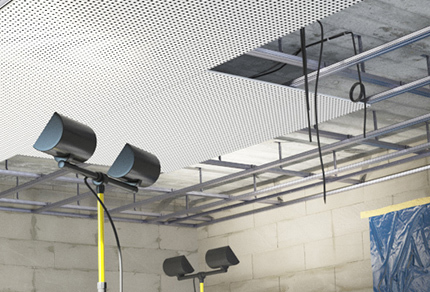 Rigitone F30 ceiling: Fire protection and acoustics. 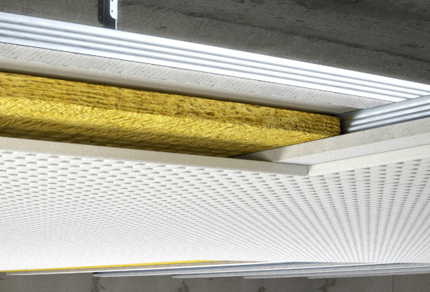 The tried and tested Rigitone F 30 ceiling offers a fire resistance of up to 30 minutes in the event of a fire, regardless of whether it comes from the area above the suspended ceiling or the room. 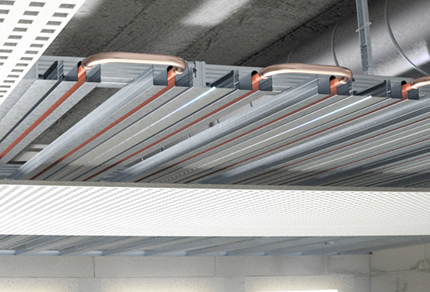 Temperature control ceilings: Cooling and heating systems. Radiant cooling and heating systems offer the ideal combination of comfort and cost-effectiveness.